An email chain between Facebook and Instagram executives discussing an anti-Semitic post on Alex Jones’ Instagram account and obtained by Business Insider and Britain’s Channel 4 News illustrates the kind of extreme lengths that the company goes to in order to avoid passing judgment on what’s right in front of their faces. They also show that Instagram is considering following the lead of other social networks with an outright ban on Jones. The Instagram post in question. Hashtags tacked onto Jones’ post included phrases like #resistglobalism and #globalist, two terms that can function as anti-Semitic dog whistles. According to a previous report by Business Insider, the Instagram post fueled anti-Semitic rhetoric by commenters who interpreted the figures surrounding a Monopoly board in the image as being Jewish. In emails between executives and Instagram and its parent company Facebook, the company’s leaders reportedly debated whether the image should be taken down on the basis that it violated its community standards and said that the company had privately discussed designating Jones as a hate figure, which would result in him being banned from Instagram. Following Business Insider’s report on the emails, Jones shared a nearly 6-minute video to Instagram that claimed he was being “framed” and that he would pursue lawsuits against both Business Insider as well as the social media platform if his account was yanked. 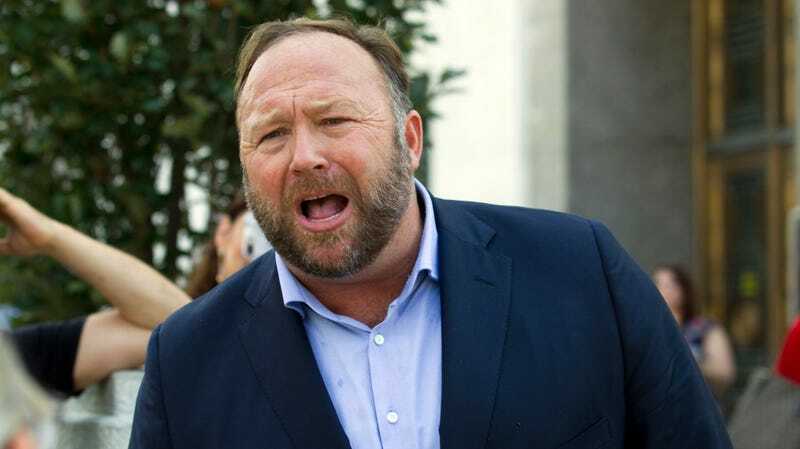 Jones repeatedly claimed that the post was not anti-Semitic and that he was being framed by “Smolletts,” a reference to actor Jussie Smollett and a euphemism for what he claimed was a network of commenters simultaneously posting and reporting content in an effort to get him kicked off the platform. As indicated in the Facebook email thread, comments on the post that violated Facebook’s community standards amounted to roughly 4 percent of the total number, according to Business Insider. Jones claimed that this figure was somehow designed to signal to his critics that they should make fake, racist or anti-Semitic comments to get him kicked off the platform. It’s understandable that a company the size of Facebook would want to have a system in place for deciding what content does or doesn’t violate its rules. But the process outlined in this instance shows that when there are risks of public controversy the social network is entirely capable of looking at something that’s clearly anti-Semitic and making the decision to follow the spirit of its rules against hate speech. Figures like Jones really aren’t worth the headache and until Instagram decides to join its parent company with a full ban on the conspiracy theorist it’ll just have to keep explaining itself.